Is your patio or driveway in need of a power wash? At Sutton Driveway Cleaning, we provide a wide range of cleaning services for commercial and residential customers in Sutton Coldfield and across Birmingham. Call us today on 07852 656 687 for more information or for a free quote. 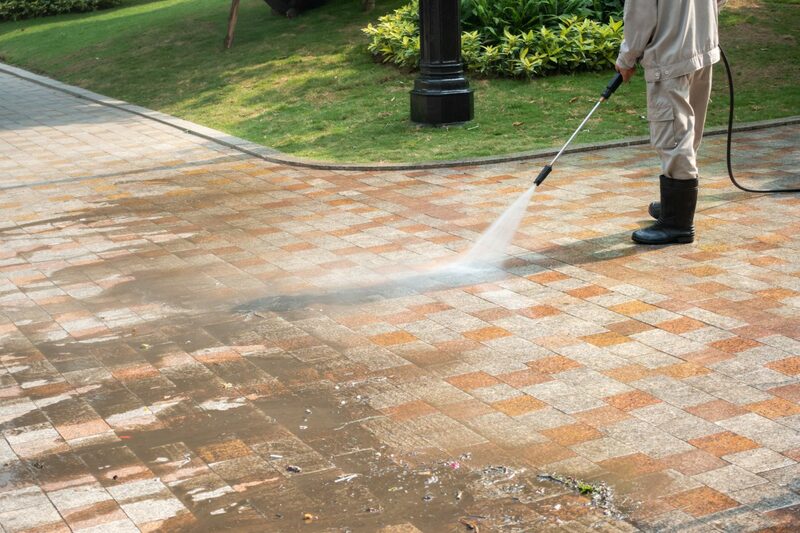 Our pressure cleaning service includes the application of protective sealers for block paving, imprinted concrete and natural stone surfaces. 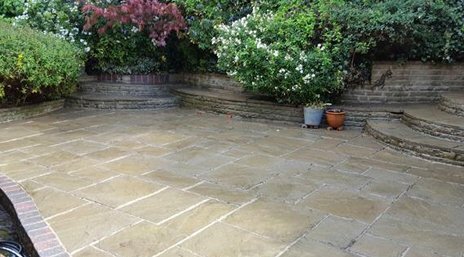 As registered SmartSeal installers we use high quality sealers from SmartSeal to help protect your patio or driveway from naturally growing weeds, lichen, moss and algae that can look quite unsightly. Using the products that are right for your kind of surface is key – so always be sure to have a professionally trained driveway or patio cleaner working on your property – needless to say, all our driveway cleaners are trained in line with SmartSeal standards. We use driveway sealing inhibitors where necessary along with acrylic sealers which act as a waterproof block protector. Dansand is another product that we regularly use and is an example of the high quality products we use on driveways and patios. Whether you need to remove an oil stain, have a problem with weeds or just need a general clean and re-sand – we will be able to give you the advice you need and provide the best cleaning and prevention service in Birmingham and Sutton Coldfield. We offer a full tarmac restoration service across Sutton Coldfield and all Birmingham postcodes. If you have a tarmac drive that is in need of restoration then get in touch with us today to discuss your needs – we will pop out to you and give you a free quotation. In addition to our tarmac restoration we also offer driveway sealing and driveway sanding services. If you have a block paving driveway that is in need of some TLC then our sanding and sealing service could be just what is needed and will cost a fraction of the price of a new driveway.